Are you scheduled for a last-minute Power BI interview? The finer hacks to crack a Power BI job interview are here. Spend just 10 minutes every day to master the top Power BI interview questions. This ultimate list of Power BI interview questions and answers will help you revive your knowledge on many topics like role-based usage of Power Bi, Premium Capacity, Ant concepts, Installing Ant, etc. and land a good job as Power Bi/SQL Developer, Senior Database Developer, and others. Elaborate Process to assign Power BI Pro License set of users in your Tenant? Click Upper right corner on settings. Select Users and click Go to O365 Admin Center. Will be landed in portal.office.com. Flyout will appear, check the required users and edit product licenses. Select radio button “Add to existing product license assignments" and Enable Power BI Pro License. Can use Powershell Azure Active Directory command-lets to assign the license. Procedure to create Streaming Dataset. Streaming dataset is also called as Real Time Datasets and can create real time Dashboard, which updates just similar Live Cricket score or Live Football Score or Live Temperature etc. upper right corner Click on + Icon. Flyout will appear with 3 options API, Azure Stream Analytics & PUBNUB. Select API and hit next. Next flyout, Provide dataset name then Column names and respective data types. Enable Historic data analysis (which will help holding old data in dataset to perform analysis) then hit Create. Streaming dataset will be created, and it will show api url and also Codes – Raw, cURL & Powershell. Paste the code and modify default values and press F5. It will immediately insert the data into Streaming dataset. check for the dataset which is created. Upper middle click + Add tile. In flyout select source tile as REAL-TIME DATA then next. Your existing Steaming dataset will appear, if it’s not readily available then create new dataset. Organization wished to have only 2 pages of Power BI report with 6 various chart visuals in each page and have almost 15-20 various Slicers/Filters. When you designed report and observed that Most of space is occupied by Slicers, instead you should show most of 6 visuals in page. Deliver your Best solution? Yes, it’s possible using options below and can be enabled in the View menu. Bookmarks pane– to save default/preferred view and save with view name. Selection Pane – to select required visuals in a Page and rest can be hidden. Initially, place all Slicers on shape Rectangle > name Rectangle of List of slicers > go to selection pane then select rectangle and all the slicers and create Bookmark with name Select Slicer. Organization wanted to show Clustered Column chart where it should display data in Hierarchy as date. E.g. Fiscal year, followed by Months, then weeks, finally Date. Can we attain kind of requirement? In Format options scroll In X-Axis, Turn Off Concatenate labels option. Again, click on more options Sort by Date. Organization wanted to create Power BI reports like Application.Where it has cover page, in which have menu to navigate to different pages in report and also select slicers in cover page which will apply to all the pages in which for few visuals it should not apply. Is Power BI capable enough to fulfil this kind of requirement? Yes, this can be achieved. Need to insert Image using Page Background and wallpaper to give illusion to look similar web page. By using Bookmarks, Selection panes and Buttons. Bookmarks and Selection pane to save with favorite view name which want to be shown to consumers. Using Buttons can assign above bookmarks to actions. Except Main page all pages will be hidden state. Publish to Power BI Web Service. Name 4 types of roles-based usage of Power BI? Consumers (also called as End-Users) of Power BI who gets insights of the data in the form of reports and used for decision making. Designers who Collect, Wangle, Explore, Transform, Model, and Evaluate Data and then design reports, publish reports to Power BI Web Service and create dashboards. Developers who helps Power BI consumers and designers to build integrating / embedding custom visuals in Power BI Reports and building streaming datasets. List available administrator roles in Power BI and where all these can be managed? Office 365 Billing Administrator: This role used to Manage licenses or subscriptions. Power BI Service Administrator: This role is inside of O365 suite and used to manage User metrics, users, Audit Logs, tenant settings and Premium settings. Only O365 Global Admin can assign this role to others to help out better control on Power BI space. Power BI Premium Capacity Administrator: This role can be assigned to others by Power BI Service Admin and used to assign Premium capacity to app workspaces. Power BI Embedded Capacity Administrator: This role is available in Microsoft Azure portal. O365 Global and Power BI Service administrators are called as Power BI Embedded Capacity Admin. No of portals & centers available for Administering Power BI. Portals and centers are User friendly GUI tools available for organization which running in the cloud(Azure) and will help in providing access, managing users and security. Power BI Admin Portal: This portal helps to manage User metrics, Users, Audit logs and tenant settings and Premium capacity settings in organization. Office 365 Admin Center: This center enables to manage users, configure, setup, groups and licensing, monitoring activities and see descriptive reports. Office 365 Security & Compliance Center: This center will help to protect data by providing right roles & permissions to users and also comply with legal by following regulatory standards. Azure Active Directory (AAD) in the Azure portal: AAD is basically to manage Identity and Access Management which helps organization to provide maintain Single Sign On(SSO) id for their users. In this portal, admin can add, remove, restrict the access for users (or) user groups (or) security groups in the organization. Powershell Cmdlets Administrative APIs & SDK: This part of azure portal, where admin can manage the users, user groups, security groups, etc.. by command-lets instead of GUI. What is Premium Capacity? Am I using Premium Capacity? How and where can I confirm? Premium Capacity is a way to have dedicated server/node for better handling Power BI Service Workload for your organization which supports up to 1 TB of data storage. Premium capacity can be identified by seeing Diamond icon beside our app workspace and it can be assigned by Office 365 Global Administrator (OR) Power BI Service Administrator. Open app.powerbi.com in favorite browser. Expand Advanced then enable Premium capacity for it. In Premium licensing. Will Pro users, Frequent Users & Occasional Users be charged? Based on your organization and users Capacity, pricing must be planned. Pro Users are required to collect, model, authors the reports and dashboards and publish to web services for sharing and collaboration will be charged. Frequent Users are just consumers of reports and dashboards, Time frame of a week probably several. These users can have free license to access Reports and Dashboards as App Workspace is backed with Premium capacity. Occasional Users are end-users where they very rarely use reports and dashboards. These users can have free license to access Reports and Dashboards as App Workspace is backed with Premium capacity. Incremental refresh is accessible in which licensing? Incremental refresh feature is released in May 2018, it is traditionally reserved for large models (Like more than 1 GB) in analysis servers for high-end scalability of data by publishing only to workspace in Power BI Service where Premium capacity is enabled for them. Eg: It will increase the speed and efficiency of data refresh by just refreshing the data changes in last 1 day -10 days instead of loading last 3 years of data. To enable it just right click on tables in fields pane and enable Incremental refresh. Organization is owning Power BI workspace and wish to give access to members based out of managing their respective Locations. Best solution? This can be achieved by Dynamic Row Level Security(RLS) in Power BI. Create & define Role name. Select required table and UserPricnicpalName() function and publish this to Power BI Service. Once users log in to Power BI service with respective user id (UserPricnicpalName()) they will be able to see only data based on role we created. Organization is owning Power BI workspace, has 10 members and wish to give access for few members Dashboard, for few reports, for few Datasets. Can we achieve this? My Entire Organization in then we choose give access to Dashboards or Reports or Datasets. Explain Storage mode: Mixed and can we establish relationships between different table in data model? This major feature is introduced in July 2018 called Composite Model. Here, Power BI desktop author is empowered to combine the data which is coming from a variety of sources and establish relationships between those tables in data model. DirectQuery, which is a large table in SQL server and need not to download in data model. Dual, which is a small table in SQL server, can be downloaded easily into data model. However, this will be only in RAM will not be saved in .PBIX. What are the Unique Features of a power bi dashboard? Power BI Dashboards are available in Power BI web Service. Can use DrillThrough page, Bookmarks and Selection pane. Report layout can be set to Mobile view. Apart from that various tiles can be created like Web Content, Images, Textbox and integrate URLs, Videos, and custom streaming data tile. 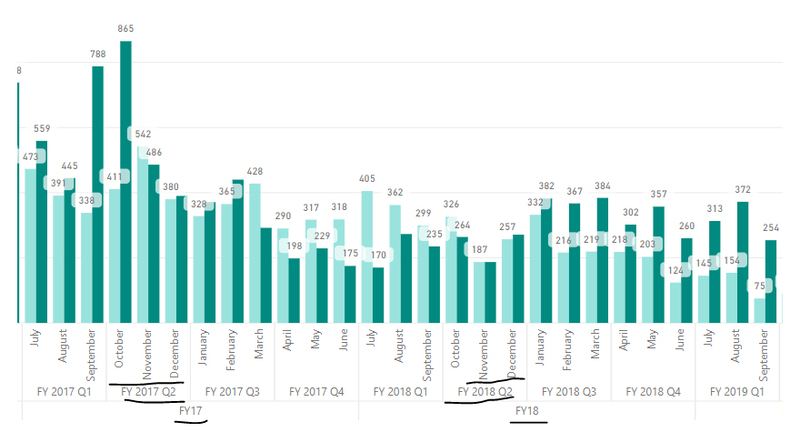 What are the Unique Features of a Power BI report? Power BI reports are created in Power BI Desktop. Advanced Q&A and tooltip option can be enabled. Various report page size can be set like (16:8, 4:3, Letter, Tool Tip, Cortana, and custom). Set Page Background and Wallpaper. Can printout of reports similar to Microsoft PowerPoint Presentations. Contains 190+ DAX functions to apply on our data, whenever necessary. Save as Template file (.PBIT). Report layout can be set to Desktop as well as Mobile. Organization wished to analyze Power BI report data in excel, is It possible? Firstly, Power BI Admin portal, in tenant settings “Analyze in Excel” option must be enabled by Power BI Administrator. Then at upper right corner, click settings to download and install Excel updates. Next left-hand side navigation pane, got to workspace > dataset > click on Eclipses (three dots) and select Analyze in Excel. Download .ODC, save and double click on it. Post that need to provide power BI user id and password. Which will connect to dataset in Power BI. In Power BI communities, by any chance have you went through “Data Stories Gallery”? Data Stories Gallery, is a place where all the designers of Power BI across the different countries, those who have analyzed the data out of their personal interest and brought the data back to life and wanted to showcase the rest of the world about their outstanding skills. 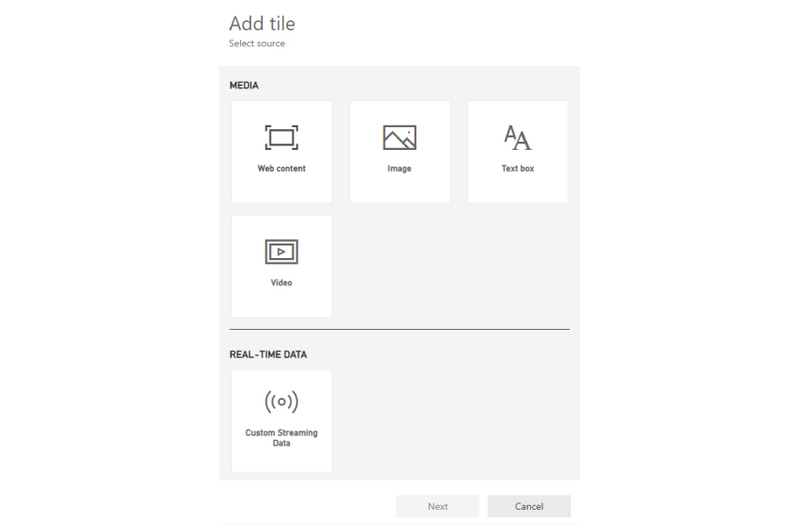 They upload Power BI (.PBIX) with their Storytelling and anyone can download their work. Open PowerBI.com in favorite browser. Scroll down a bit and you will find Data Stories Gallery. Also find Power BI reports where they have designed games. And anyone can submit her or his Data Story as well. What are “Hot Ideas” in PowerBI.com, how will they help you and Have you submitted “Ideas” in Power BI, if any? Here any Power BI report designers or consumers or developers or admins can suggest ideas(that could be anything new feature, or enhancement etc.) which can improve user Experience and currently that is what Microsoft is listening to User Voice”. Once this is posted in ideas page, then different users across the world, possible needs similar or same kind requirements and they start supporting idea by Voting it. No of votes increases then your idea has got demand which is called “Hot Idea”. Then Microsoft product team will consider it and releases that feature in subsequent releases. How to decide or choose the best visual according to data? Data has Countries, counties, Longitudes and Latitudes etc. Power BI is a business analytics service provided by Microsoft. Its primary aim is to provide interactive business intelligence and visualizations capabilities, with the help of which users can create their own dashboards and reports. Power BI was released in the year 2013 where Microsoft decides to blend multiple Excel add-ons together to create a completely independent tool. Power BI is considered as the major contributing factor in the growth of data visualization domain or Microsoft in BI. There are many companies who use Apache Kafka. According to iDatalabs, most of the companies that are using Power Bi are found in the United States and the United Kingdom, particularly in the industry of Computer Software. Mostly, these companies have 50-200 employees with a revenue of 1M-10M dollars. To name a few of these companies: Devon Energy Corporation, Rolls-Royce Motor Cars Limited, H.J. Heinz Company, etc. According to payscale.com, the average salary of a Business Intelligence Developer (BI) who has Microsoft Power BI skills, is $62,5000 per year. Worried about your Power BI interview? We have got the perfect rescue for you wherein you will be advised on the most common Power BI interview questions with answers. Rest assured as we are offering you the most asked interview questions on Power BI to help you clear your upcoming Power BI job interview. Here, through expert advice, we have gathered a few sample power BI Interview Question and their answers. Through this, you will learn the components of Power BI, PowerPivot, data refresh, DAX in Power BI. These Interview questions for Power BI will give you an idea of the type of questions which could be asked in Power BI interviews. Power BI interview questions & answers here are suitable for both freshers and experienced professionals at any level.